HMD Global is hinting that it may launch a new Nokia phone in India soon. The company posted from the Nokia India Twitter account a teaser video with a caption that reads "Get ready to #ExpectMore". Now, some of you may have recognised that this is the same hashtag being used for a Nokia launch in Dubai on December 5, which suggests that the same phone or phones will be coming to India as well. And based on all the reports so far, our bet is on the Nokia 7.1. Considering this we can say that Nokia 7.1 is coming to India on December 5. The tweet by Nokia India does not reveal whether it is the Nokia 7.1 or not. The short video essentially shows a bed of roses in sober red which turns bright and vivid within an outline of a phone with a notch. Now, this suggests that we are looking at a Nokia phone with the company's new PureDisplay technology and there are only two phones so far that offer this display - Nokia 7.1 and Nokia X7. The Nokia 7.1 was launched in London a couple of months ago and is yet to make its way to India. Notably, the notch in the teaser is small which further suggests the Nokia 7.1 launch rather than the Nokia X7 (Nokia 8.1) as the latter comes with a wider notch. 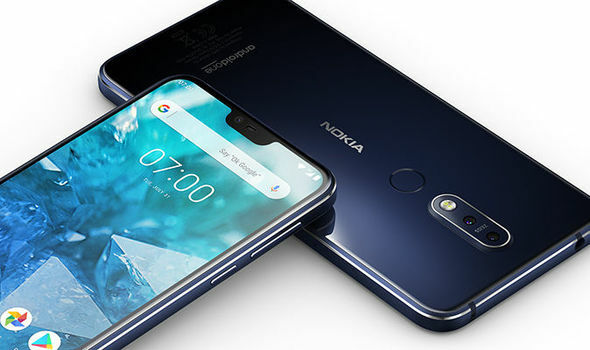 The Nokia X7 has been launched in China and is tipped to be launched globally as the Nokia 8.1 in Dubai on December 5. It was reported a few weeks ago that the Nokia 7.1 would come to India by the end of the month, but it now seems we are looking at a December launch. It is also possible that the company is planning a simultaneous launch in Dubai and India on December 5 given the new teaser. Moreover, HMD will likely launch three Nokia phones at its event in Dubai and we can expect some of them to make their way to India. The Nokia 7.1 sports a 5.84-inch FHD+ (2246x1080) IPS LCD display with a 19:9 aspect ratio. It is the first Nokia phone to bring a PureDisplay screen. This is proprietary technology that HMD says offers higher contrast and deeper colours. It also supports HDR10 so streaming videos on platforms like YouTube and Netflix will offer a sharper viewing experience. The Nokia 7.1 is powered by a 1.8GHz Snapdragon 636 chipset, which is similar to the Nokia 6.1 Plus. The phone will be offered with 3GB and 4GB of RAM along with 32GB and 64GB of internal storage, respectively. Both the variants support storage expandability up to 400GB via microSD card. Notably, the new Nokia phone gets a dual camera setup with Zeiss-branded lenses, something that was missing on the 6.1 Plus. It sports a 12-megapixel primary sensor with f/1.8 aperture and 1.28 micron pixels and a 5-megapixel secondary sensor for depth support. Up front, the Nokia 7.1 gets an 8MP sensor with f/2.0 aperture. HMD says the Nokia 7.1 can capture true-to-life HDR images. The camera app also gets a Pro mode and bokeh effect, among other things.